So we had a long break and it took a while to get back into the game but we had a fun time. Back in the chamber of eyes you had a bunch of dead slavers and a bear carcass. Before leaving Splug and Ket carve up the bear meat. You get a nice fur and more bear than the group could eat before it spoils. You head back to the Seven Pillard hall and Splug takes the fur to a tanner and the meat to a butcher to be made into sausage and cured. In the Inn you get dinner and a pint of Ale. Madam Halfmoon is tending the Inn and lets you know Rendil is doing some chores for the Inn but she will send him over when he’s free. Rendil looks at your letter from Murkelmor of Clan Grimmerzhul and tells you that the Dueger have some sort of mine in the labyrinth and also have a trading post in the Seven Pillard hall. Unfortunately the trading post is closed so you stop by in the morning. The plan you go with is trading your gems for some of the wares the trading post has. While examining the gems the Dueger attack! They realized the gems were those they paid for the slaves with. You defeat the Duegar and take two captive. 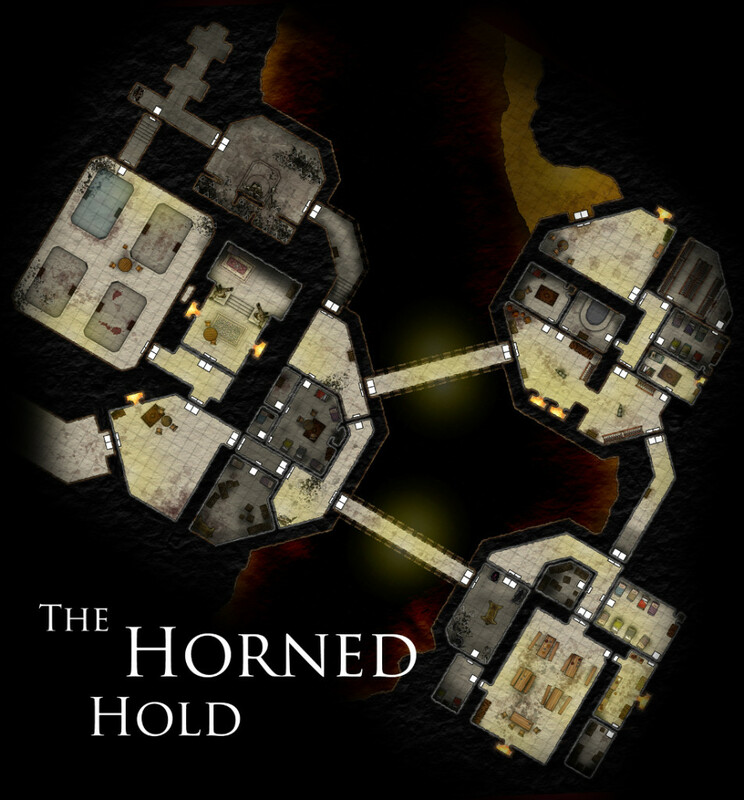 You search the trading post and find that there is a rough map to the “Horned Hold” a fortress in the labyrinth that the Duegar inhabit. 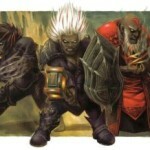 You also examine the books and find the Duegar have been cheating on their taxes to the Mages of Saruun. After leaving the trading post you run into Brugg. He stops you asking for a fee for entering the Seven Pillard hall that you neglected to pay. You tell Brugg about the trading post and the back taxes to which he is very interested. He brings Orontor (a Mage of Sarunn) in. Orontor agrees to take the items in the Trading Post for the debts owed. He just doesn’t want prisoners or dead bodies. You go back to the trading post and clean it up just in time for the appraiser to stop by. Orontor also tells you that any information you might find out about the missing Mage Paldemar might be worth a large reward. You still make off with the gold, magic item and academical supplies from the hold. After clearing that all up you head out to the Horned Hold with your prisoners in the lead. When you get there you find a garrison of Orcs guarding the entrance. After negotiating for the release of the Winterhavcen slaves the Dueger decline and attack. You all respond by filling them with arrows, torching them and using the captives as a road block. Then Corwin asks them to surrender at which the Orcs say they aren’t paid enough to die and all agree to quit. 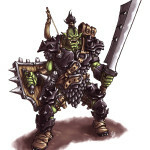 You kill the Dueger and the Orcs run away. We leave our adventuress just after they have taken the entrance to the Horned Hold. You earn 2 XP putting you at 39 XP. One more encounter for the next level! A long association with infernal powers has given duergar a strong resistance to poison and fire. These qualities have so thoroughly infused their bodies that most duergar have poisonous quills that grow alongside their hair. 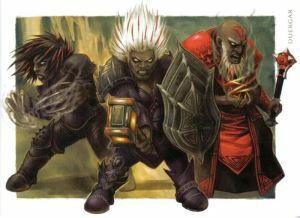 Long ago, duergar were a great clan of dwarves who delved deep into the Underdark and fell under the influence of the mind flayers. 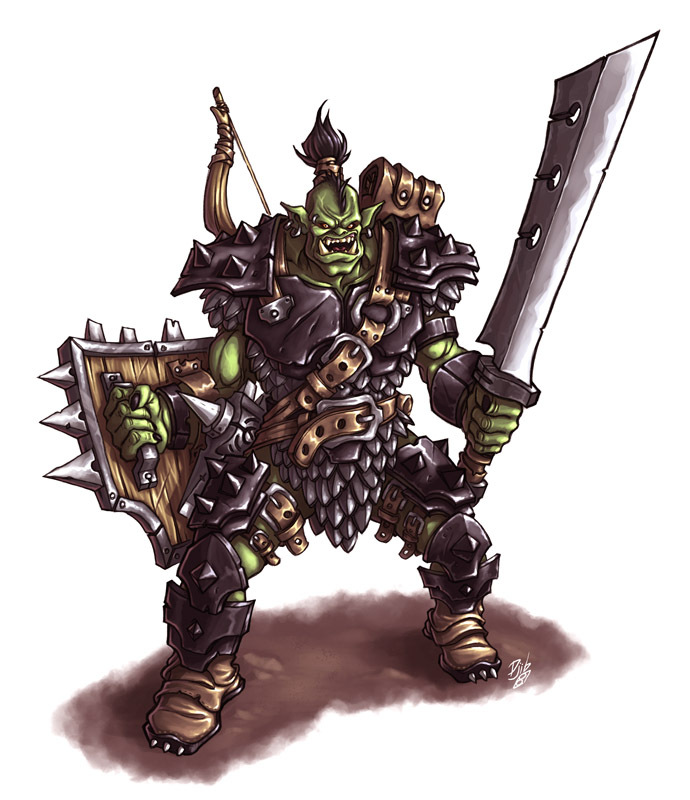 They endured uncounted years as thralls before rebelling and fighting their way to freedom. Duergar now often inhabit volcanic areas of the Underdark. The duergar came to believe that Moradin had abandoned them in their long captivity, so they turned to infernal deities to grant them power. They ruthlessly strengthened their stock by breeding with devils, and most now take Asmodeus for their favored deity.